Eggshellland took a brief hiatus after the founding father, Ron Manolio, passed away in 2013. Now the Easter display is back, being shown at Legacy Village shopping center every year. 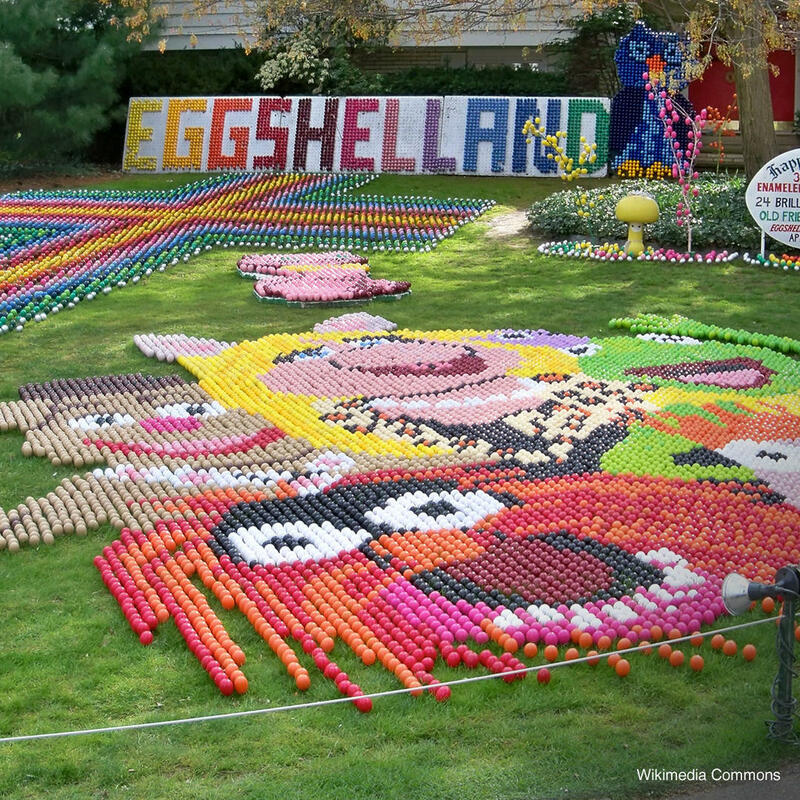 The display is an egg mosaic - pictures and scenes created from brightly colored eggs emptied of their contents. Before Ron Manolio passed away he and his family had created a different display every year for 57 years.